I’ve got a few updates for you wonderful folks, so let’s dive right in! Last week we launched our new Experimental Server, where you can now test out features before they make their way into the game. Right now, you can try out our new Death and Mount Systems, along with an assortment of other fixes. 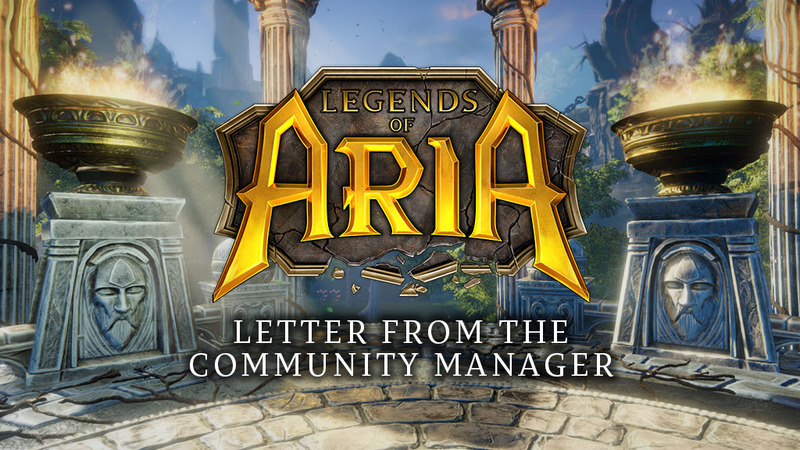 Your feedback is critical to the success of not only the Experimental Server, but also Legends of Aria. We’ve created designated forum threads for both the New Death System and the New Mount System, as well as a Miscellaneous thread for commenting on the additional fixes. There is also a designated channel on Discord for discussing Experimental Server features. This week we will be at PAX East in Boston! We’re so thrilled about the opportunity to share Legends of Aria with more people, and we’re equally thrilled about the opportunity to meet some of you! At the booth we will be giving out digital codes for 5 Power Hour Potions, as well as a special one-time surprise deco item. To anyone unable to attend PAX, we have a little something for you as well. Every day you log in during the PAX East Convention – Thursday, Friday, Saturday, and Sunday – you will get one Power Hour Potion placed in your backpack, meaning you can get up to four during the convention. Being accessible and approachable is important to me, as is making you all know that you’re being heard and respected. So we’re going to be kicking off a new weekly hour-long feedback chat on Discord on Thursday, April 4th. Every Thursday will have a different theme – Karma, PvE, PvP, Crafting, Experimental, etc. This new event is a way for you to have my undivided attention, but will also help us all think about the mechanics of Legends of Aria a little more closely. For now, this will take place on a new Discord channel, which you can find under LOA Community Channels. I definitely want to encourage everyone to keep discussing and sharing their ideas for the game outside of this event – it’s just one step towards opening up the lines of communication between all of us in a productive way. Another step towards that is a set schedule for Developer Q&A Streams. On Friday, April 5th, we will be starting set biweekly Developer Q&A Streams, which will take place every other Friday at 1pm Eastern Time. This is a great way to get your questions answered by members of our team, and we wanted to be sure that you all knew exactly when they would be taking place. If you have a question you’d like answered, you can tag us on Discord or email community@citadelstudios.net. There are some other exciting community-related ideas currently in the works, and I look forward to sharing them more with you in the coming weeks!